Last edited by giftculture; 02-03-2019 at 11:34 AM. I second this. I thought maybe that little "--" preset was a part mute at first. The scene page is definitely where I spend the bulk of my time during performance. I've been building part mutes as specific presets, but it feels like there could be a more efficient way to do this. Not in front of the machine right now but the ability to be able to select a few parts at once in the Parts page, then mute them all simultaneously with one press of ‘mute’ would be great. From memory, I couldn’t do this when I tried. Native support for the Sensel Morph (via USB I expect, I don't think the Vector has Bluetooth) would be amazing. 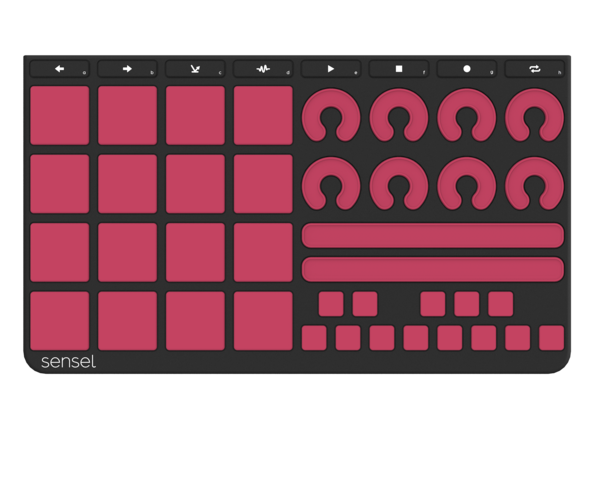 If you don't know of it, it's an inexpensive pressure-sensitive multitouch pad controller with customizable overlays. Last edited by wohali; 02-06-2019 at 06:29 PM. i would like it if the tempo/bpm would increment by 10 when shift is held. scales per track also if that's possible. realtime record and not just step input recording would be a great addition. also a way to input rests (maybe i'm missing it?) aside from moving the cursor.